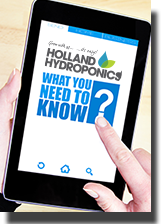 Holland Hydroponics understand that safe and reliable grow lighting control is an essential factor when it comes to indoor gardening. All gardeners require the peace of mind that their HPS/HID grow lights are switched on and off at the correct intervals and that this is achieved with a safe and reliable heavy duty contactor. Any indoor gardener should be using lighting contactors to control their indoor HPS/HID grow lights, as standard interval timers just aren’t up to the challenge. These Timer Box lighting contactors by-pass the electrical load away from the built in timer, this allows for efficient control of the amount of time your lights are on and off for. Supplied with 1 metre heavy duty mains leads. These convenient units are available in 4 sizes with the largest controlling up to 8 600w lights, using only 2 wall sockets!